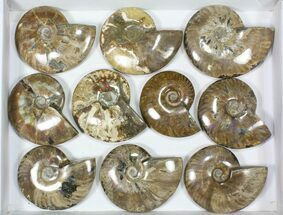 This is a wholesale lot of large, cut and polished Cleoniceras ammonite fossils from the Mahajanga Province of Madagascar. 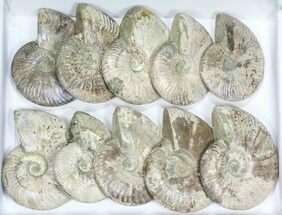 They are Early Cretaceous (Albian Stage) in age, or approximately 110 million years old. 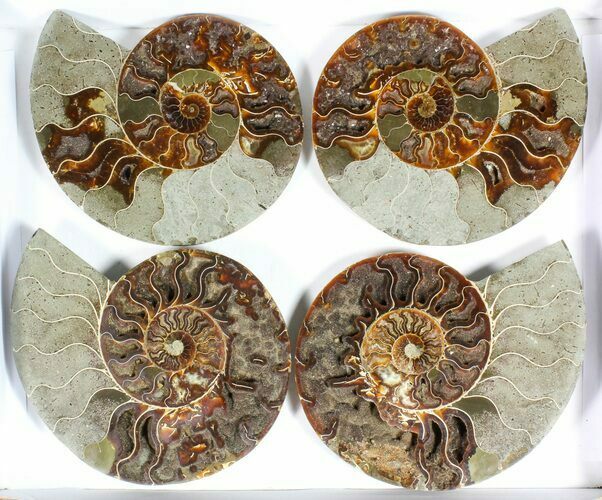 The lot includes 5 ammonites (both halves). They range from 7 to 8+" wide with being closer to 8" . 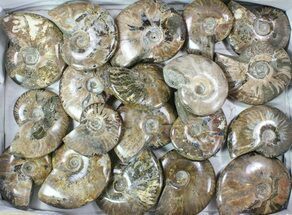 The entire lot weighs about 17 lbs. 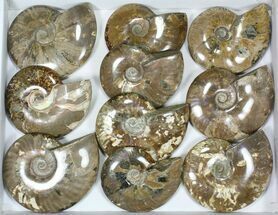 They are grade B & C specimens meaning many of the chambers visible in the interior of the ammonite are not well defined or had been filled with mud prior to fossilization. 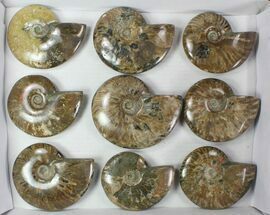 The exterior of the ammonites are attractive with a mix of some showing iridescent shell preservation and others polished to show the "oak leaf" suture pattern underneath the shell. 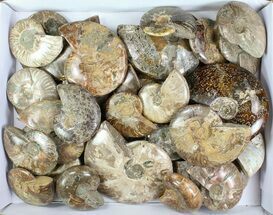 You will receive the exact lot pictured. 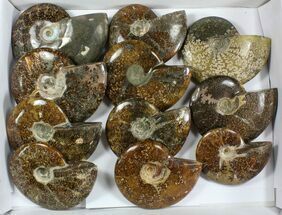 At the wholesale price each ammonite (both halves) is $90 each and they can easily retail for 2-3 times that amount. 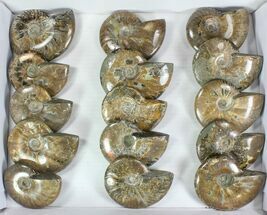 7 to 8" wide, most closer to 8"